Our Recommended Stores Section is here to assist you in choosing your diamond engagement ring store. Our motto is to support stores with high quality and service standards. Our Recommended Stores offer expert consultant, a comprehensive service and information about the most recent trends. Most Recommended Stores additionally provide 24/7 customer support, compatible prices and are those who received the highest rank from our most essential reviewers- our customers. We guarantee that a Recommended Store, has a very high value of positive reviews, satisfied customers and a great score on our disappointing customer solutions. As a recommended, all images, videos, and descriptions online, must be from the highest quality. Whiteflash is a recommended diamond engagement ring store, for its great value for money, fantastic customer services and a large variety of diamonds. Whiteflash has won some of the most popular customer protection programs awards over the last years. Do not forget to check out Whiteflash cushion cut and the uniquely designed engagement rings. Read More on our Whiteflash Review. Szul is an approved diamond engagement ring store, with beautiful pieces and high prices. Make sure you visit Szul as one of your engagement ring research. Szul is not only recommended for its beautiful designs and great variety, but for the prices that may sometimes seem unreal, as it is lower than most online and brick and mortar stores that we know. Read More on our Szul Review. Ice.com is a recommended affordable engagement and wedding rings shop! Ice diamonds offer some of the most elegant white gold engagement rings online, in addition to some non-diamond engagement rings, black diamond’s engagement rings and more! Read More on our Ice Review. Brian Gavin is one of our recommended stores; we believe that MR. Gavin and his associates have been making a change in the diamonds engagement rings market in the past years. We can assure that a quality of an engagement ring that goes by the hands of the master is a top of the line and will sure make an impression on the future to be fiancee. Our conclusion takes a measure of all reasonable issues that one must deal with before, making a purchase, and we can highly recommend making one on BrianGavinDiamonds. Leibish.com is wonderful! We put Leibish on our top engagement rings online stores, we could find there anything we wanted, starting diamond designs, create your own, right shipping timing, excellent return policy and brilliant ideas that wouldn’t make you break your savings. Go For Leibish! 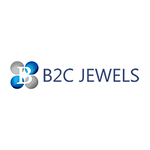 B2C Jewels is a top of the line shop, featuring excellent customer service as well as competitive prices on engagement rings. Our B2C Jewels review has found a very lovely oval cut diamond engagement rings available for sale under this recommended seller. Read more on our B2C Jewels Review. Want to share your experience with us? Bought an engagement ring from a store and you want to recommend? Bought an engagement ring from our recommended stores and felt as if you were scammed? Contact us or leave a comment and let us share your story. Recommended stores are chosen weekly, and are under strict and consistent watch for customer complaints; engagement rings prices, policies and more. IDiamonds is an approved and reasonable prices engagement ring store, with fantastic reviews and lots of satisfied fiancées. IDiamonds Halo engagement rings are in between our favorite styles so far, and it is indeed an outcome of great designers work, creativity and fabulous ideas. 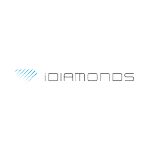 Read More on our IDiamonds Review. 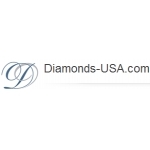 Diamonds-USA has a beautiful online store, which you must pay a visit. Mr. Braverman manages one of the promising online stores for diamond engagement rings, that makes you feel as you are standing in front of the team for real. We recommend taking a tour thru the Diamonds-USA princess cut engagement rings, we promise an exceptional experience. Read More on our Diamonds-USA Review. 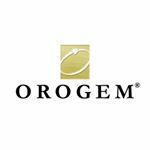 Orogem is a GREAT place to look for complete jewelry sets. It is nevertheless perfect when it comes to customer care, the salespersons are helpful, professional and the jewelry are AMAZING compared to any price you can find on the market! 24Diamonds stands for its own when it comes to online engagement rings stores. 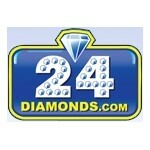 24Diamonds is user-friendly and a top- policies award winning. As a top seller, we recommend 24Diamonds for anyone looking for an engagement ring, cheaper or fancy, three-stone or halo. Read more on our 24Diamonds Review. Effy Jewelry is one of the unique engagement rings designer, a one of a kind artist that makes sure a personal touch is given to every piece that goes by his craftsmanship. Not only the beautiful designs but the fun time looking around the online store should give you great ideas for your engagement ring.